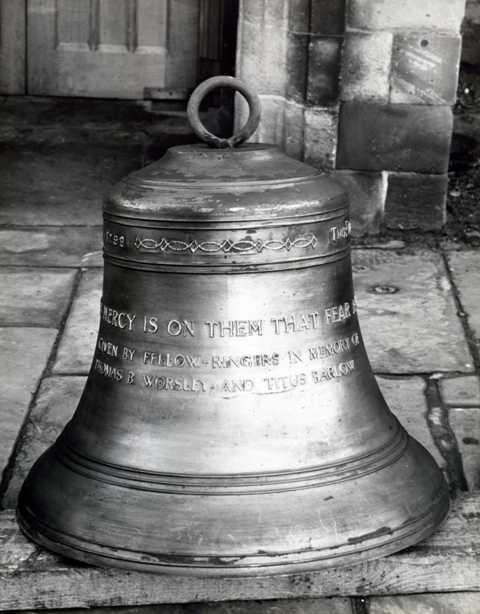 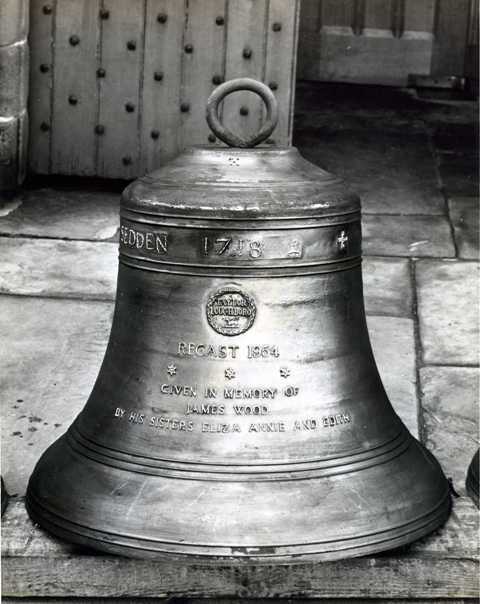 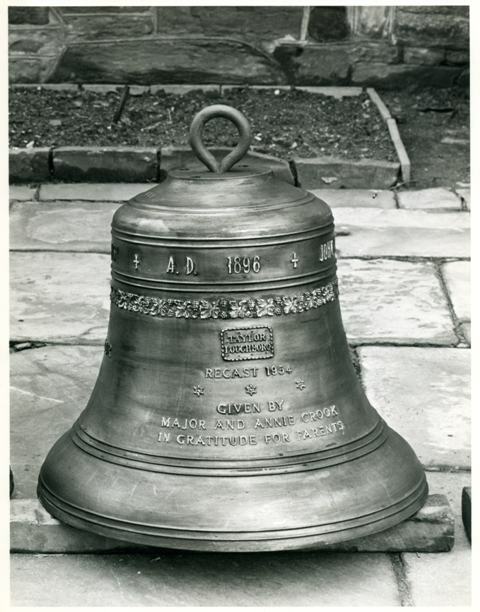 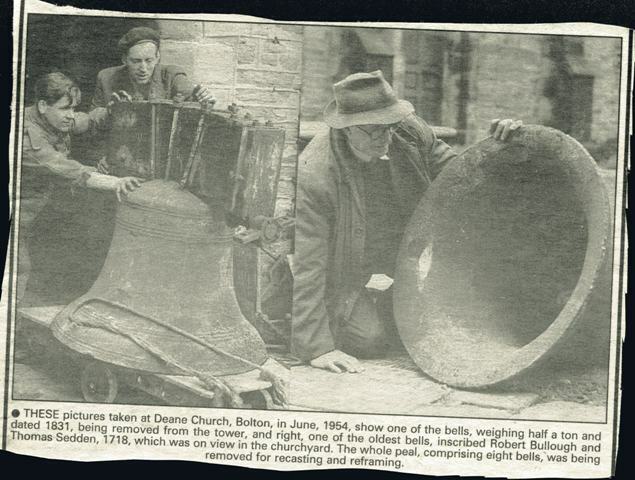 THESE pictures taken at Deane Church, Bolton, in June, 1954, show one of the bells weighing half a ton and dated 1831, being removed from the tower, and right, one of the oldest bells, inscribed Robert Bullough and Thomas Sedden, 1718, which was on view in the churchyard. 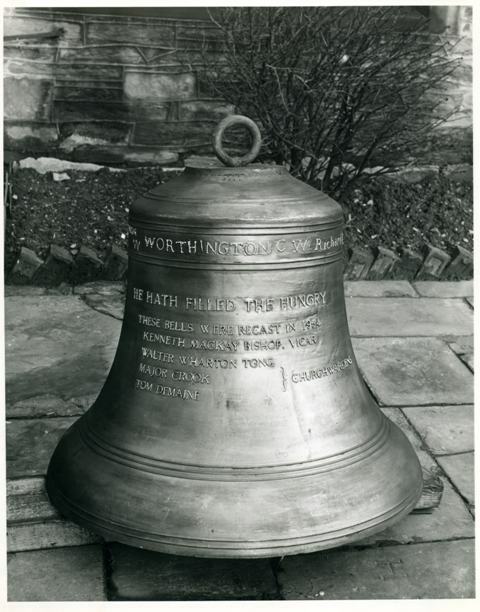 The whole peal, comprising eight bells, was being removed for recasting and reframing. 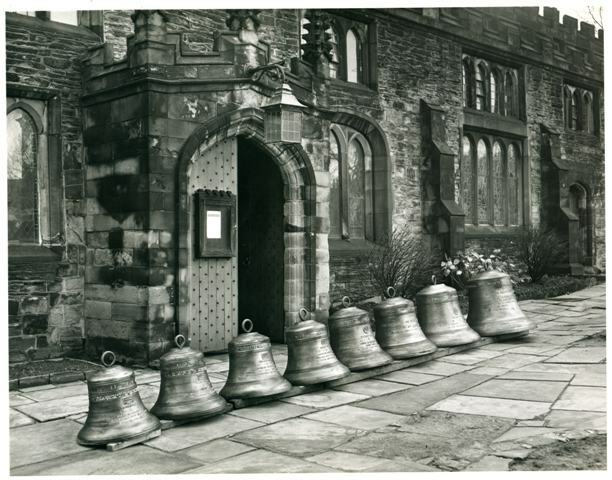 The bells, recast, lined up ready for rehanging in the new steel frame.